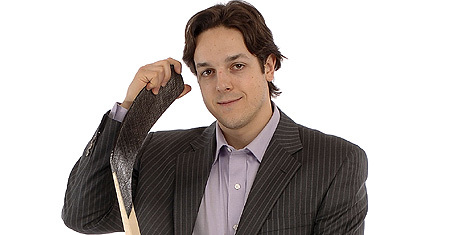 Danny Briere is not having an ideal year. After missing 14 games with a sports hernia, turn severe groin pull, Briere was rushed back onto the ice after admitting he was not feeling 100-percent. The result: Another groin strain, but according to the Flyers, it’s unrelated to the original one, but will keep the 31-year old out 4-5 weeks. Early in Tuesday’s contest with Tampa Bay, Briere tweaked his groin again and coasted off the ice, hunched over and in pain. The look at his face, scorned with frustration, said it all. But the fact that Danny was able to play at all was surprising. Just days before the Flyers announced he would come off the injured reserve, the Flyers also announced that Briere’s groin injury wasn’t healing properly and they wanted to keep him off the ice entirely. In his short time playing this season, Briere has tallied five goals and four assists in only nine games played. The Flyers will place him on LTIR, which will reserve some salary under the cap for the return of defenseman Randy Jones from his LTIR stint.